On March 21, 2010, Katherine Jahncke and Linda Pailet became the first-ever female captains on the New Orleans Fire Department. 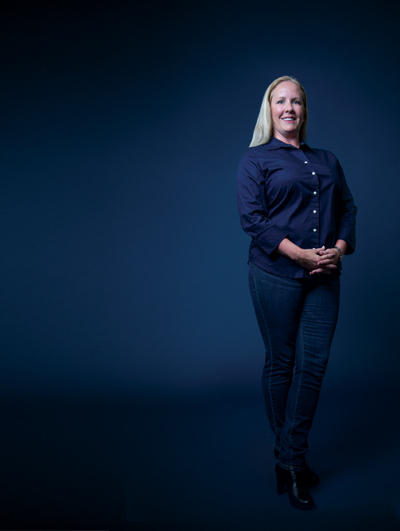 After 13 years on the job, however, about three years ago Jahncke’s sister developed a very aggressive form of breast cancer and Jahncke found out she, too, had the gene. Following extensive preventative surgery, she was unable to return to the field. Jahncke is now the fire education officer for the NOFD. Among her duties is recruitment. “Of the currently more than 600 firefighters on the department, only five are women,” she says. “But as of last October’s recruitment efforts, of the 277 candidates in the testing process we have 15 women. Mentor: The second woman ever hired onto the New Orleans Fire Department, Kelly Fay, paved the way for the rest of us by coming onto the job physically and mentally strong. Also my previous captain, now a chief, Wesley Thibodeaux, taught me how to fight fire and work together as a team. He also made our engine company feel like a family. We are still family and I still bombard him with questions! Defining moment: One has to be the day Linda Pailet and I were promoted to captain. Of the five women on the job right now, two of us are captains and two are on the list to be promoted to captain soon. Advice for young women: Don’t ever let anyone take away your passion for what you do, or want to do in the future because they feel threatened. The spark inside you that drives you should not be allowed to burn out! Goals: My goal is to continue to help people. I want my contribution to this department to be that I made a positive impact on the firefighters already on the job and the firefighters I recruit in the future, and that I continue to hopefully pave the way for the women who come after me. Favorite thing about what I do: Now that I’m involved in recruiting, it would have to be the feeling I get when I meet someone who’s interested in the job and I’m able to be a part of their excitement and passion for becoming a firefighter.